I am so excited that GIVE ME FEVER by Jasmine & Arielle Lockhart is available now and that I get to share the news! 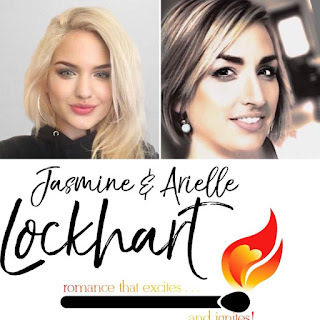 If you haven’t yet heard about this wonderful book by Authors Jasmine & Arielle Lockhart, be sure to check out all the details below. This blitz also includes a giveaway for a $500 Amazon GC prize and an ARC of GIVE ME FEVER, courtesy of Jasmine & Arielle. So if you’d like a chance to win, enter in the Rafflecopter at the bottom of this post. Louisiana, in a house overflowing with books, art, and poetry scrawled on scraps of paper by the hands of their father and mother. The sisters spent their childhood summers setting crawdad traps and picking peaches from the three-hundred-year-old tree on their family’s plantation. On stormy nights when the power would go out in the Antebellum home, Arielle would distract her younger sister by telling her stories. It never took long before Jasmine’s fear of the dark was forgotten and she was butting in with her own ideas of how the story should go.